When I think of comfort food, I think of tomatoes. I am a quarter Lebanese by blood and about 2/3 Lebanese when it comes to food obsessions. Although we are third generation Canadian, my sisters and I grew up embracing all things tomato, parsley, mint and lemon. For a special treat, my Mom would make stuffed grapevine leaves (we would help roll) baked in a tomato sauce, served with a classic tabouli salad. If it was just the four of us and our Mom for the night, she would often make the very most epic ratatouille with chick peas, finished with a healthy squeeze of lemon and some parsley for dinner. When we were sick, naturally, we got tomato soup. Perhaps this is why I gravitate towards tomatoes when planning menus for clients who are unwell. It doesn’t hurt that tomatoes are also one of the richest sources of the antioxidant, lycopene, which is well known for its cancer fighting and preventing abilities. The lycopene is actually more abundant in cooked tomatoes than in raw, so a slow-simmered tomato soup is especially healing. Tomatoes are also rich in vitamin C. In fact, the highest amount of vitamin C resides in that slippery, jelly-home that the tomato seeds live in. (I can’t tell you how many tomatoes I de-seeded in my pre-nutrition career!) AND hothouse tomatoes contain about half of the vitamin C of their field-grown counterpart. The nerve. Yet another reason to eat in season (although, with such a short season, I don’t blame anyone who breaks the rules once in a while. After all, I’m pretty sure there are a few of us out there who don’t get a lemon/chocolate/coconut season). I have used fresh, field-grown heirloom tomatoes in this soup. 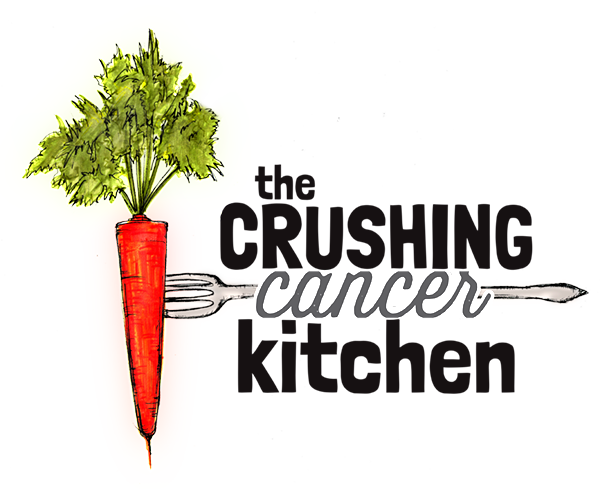 It is a simple enough recipe, that the quality of the ingredients makes a big difference. The tomatoes were sweet and juicy, and it was reeeeeeally hard not to just eat them raw with some avocado. In the end, the soup was worth holding out for though. 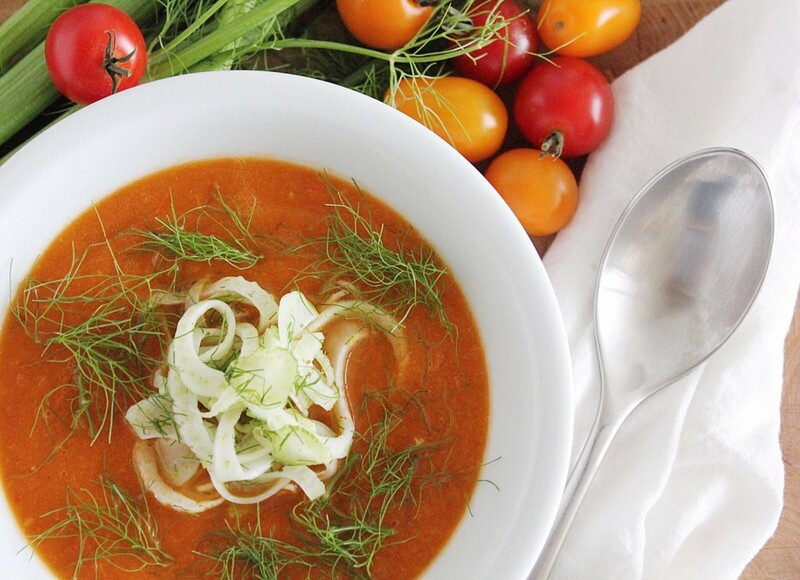 Joining the soup party is the tomato’s good friend fennel, both the bulb, and some fennel seed. These give off a bit of anise flavour, some extra body (fiber) as well as some digestive aid. 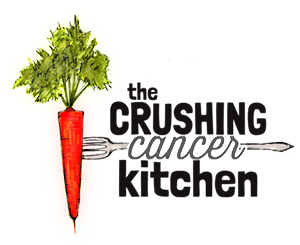 Fennel is also anti-carcinogenic and therefore great for anyone who is living in this modern world, but is especially good for those who have just finished chemo and/or radiation. 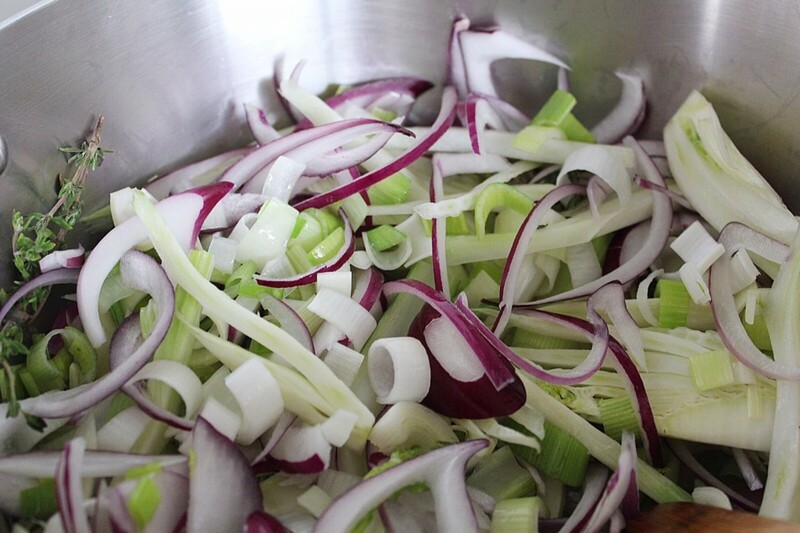 Red onion, leek, garlic and kombu all help to round things out flavour-wise, and veggie-power-wise. 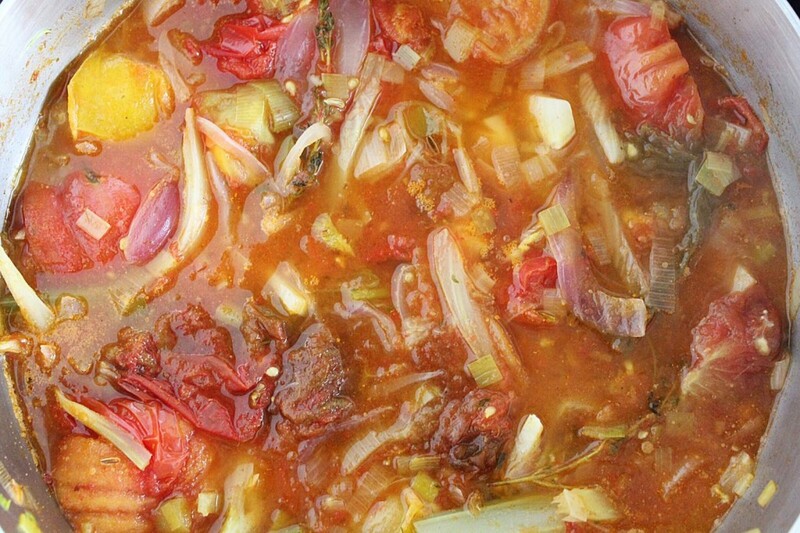 I use water as the liquid base, because most of the liquid comes from the tomatoes, and this soup is full of aromatic veggies, eliminating the need for a stock base. This makes it easier too. 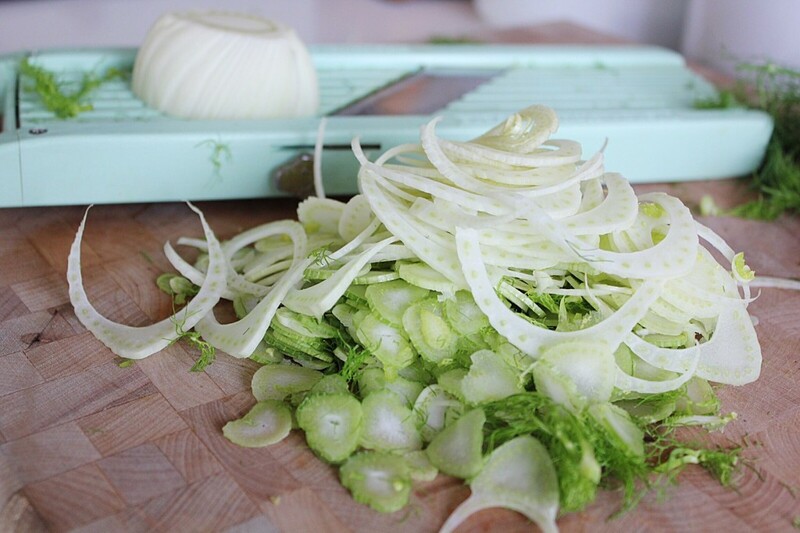 The shaved fennel garnish is so much more than just a garnish. 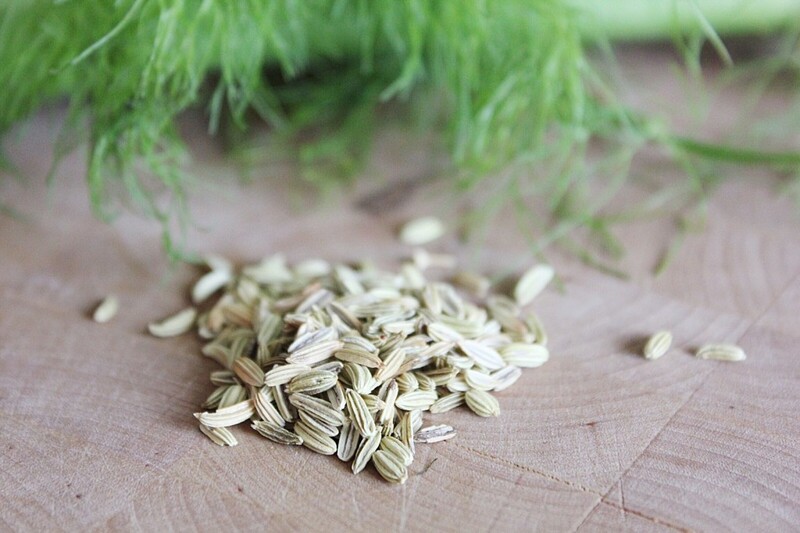 It adds a raw component to the soup, offering up enzymes that help out digestion, and also vitamins that may have dissipated from the cooked fennel in the soup. 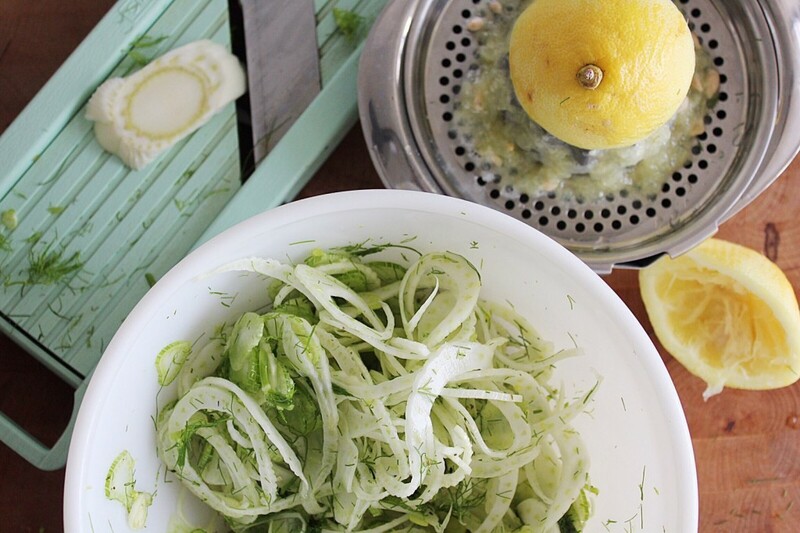 The raw, shaved fennel is simply tossed with lemon juice and some of its herby fennel fronds. It punctures some of the mellow sweetness of the soup, and adds some crunch. If it is crazy hot where you live right now, and the idea of soup makes you feel all sweaty and itchy, pour it over ice with some vodka. Just joking, don’t do that, but you can chill it down and enjoy it cold. 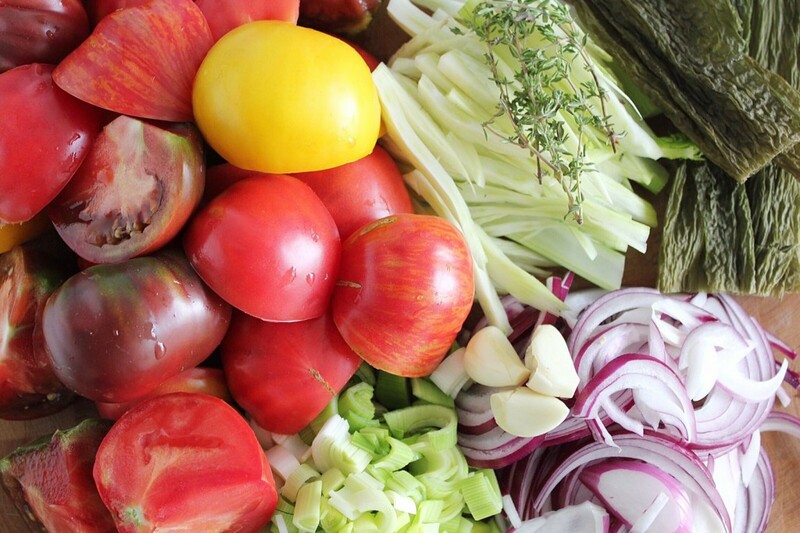 The flavours are so fresh and bright that it transitions very well into a cooked-style gazpacho. Sipped warm, this soup tastes just like a warm summer’s night. Both ways are delicious, and it freezes well too, so make the whole recipe, you’ll be so happy you did. When you pull it out of the freezer for dinner, you can pretend your Mom made it for you. On medium heat, sweat the fennel, leeks, onion, garlic, thyme, fennel seeds in the coconut oil and ¼ c of water. Once everything gets transparent and limp, add the tomatoes, kombu and water. Bring to a low simmer, put a lid on it and let simmer for 15-20 minutes, or until the tomatoes melt down and lose their shape. Remove the thyme and kombu and blend the soup using a stick/immersion blender or a real blender. Don't strain it. Add the kombu and thyme back in. Enjoy with a twist of shaved fennel in the center, and some fresh fennel fronds. Leftovers freeze exceedingly well. Slice the fennel bulb thin using a mandolin, or your incredible knife skills. Either way, watch your fingers. 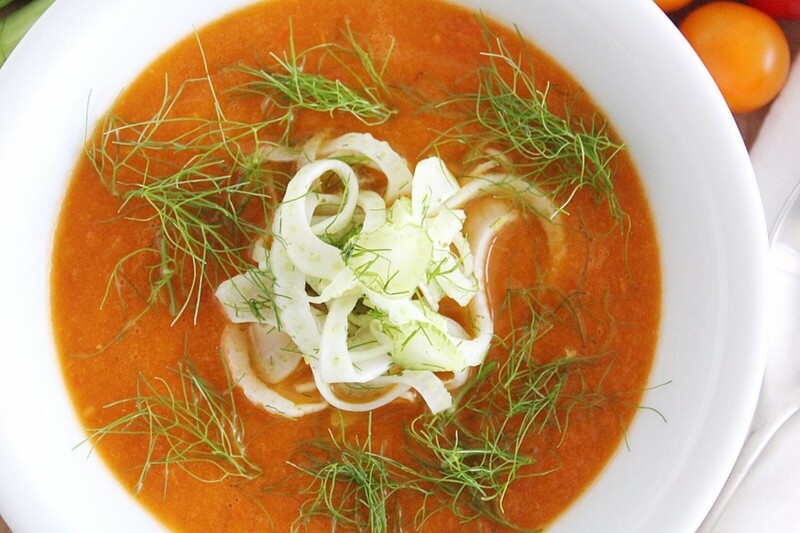 Toss the fennel in a bowl with the rest of the ingredients. Wait for 5 minutes or so for it to get limp and bendy so that you can put a neat little stack in the center of your soup bowl.